Act II, Scene 2 of Puccini's "Turandot." Puccini’s Turandot. Soprano Martina Serafin stars in the title role of the proud Chinese princess, opposite tenor Marcelo Álvarez as Calàf, the mystery prince who is determined to win her. 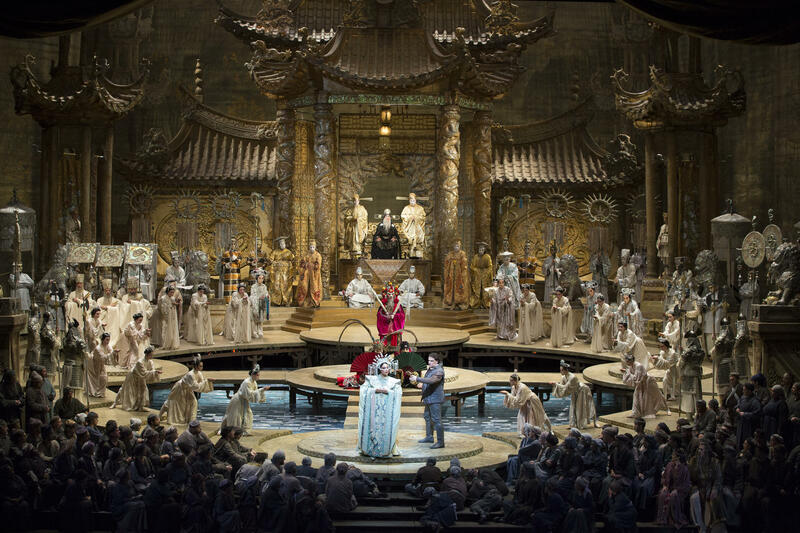 Soprano Guanqun Yu makes her network broadcast debut as the courageous slave girl Liù, and bass-baritone Alexander Tsymbalyuk is Calàf’s father, Timur. Marco Armiliato conducts the performance, presented in the much-loved production by Franco Zeffirelli. Listen LIVE on Classical IPR on Saturday, Matrch 24 at 1:00pm ET. Christine Goerke sings the title role of Richard Strauss’s tragedy Elektra under the baton of future Met Music Director Yannick Nézet-Séguin. 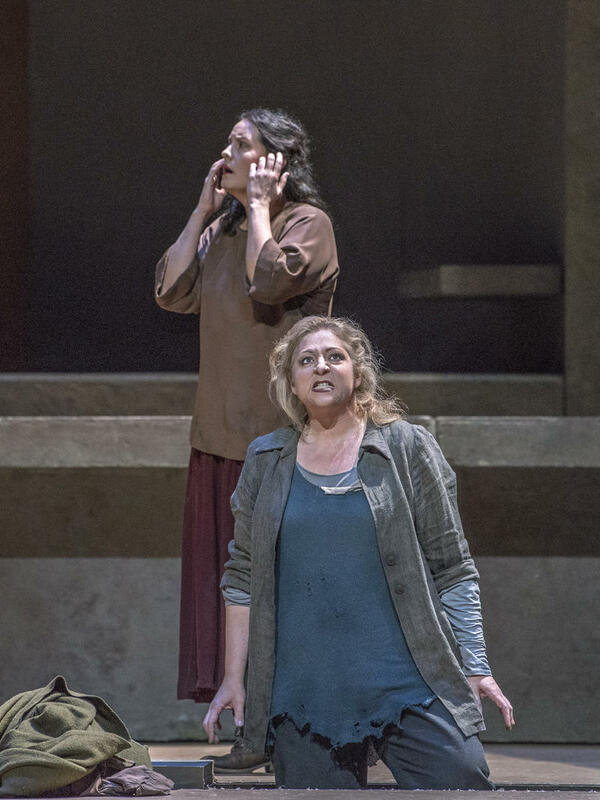 The acclaimed American soprano stars as the revenge-obsessed princess of Greek myth, with soprano Elza van den Heever as Elektra’s sister, Chrysothemis, and mezzo-soprano Michaela Schuster making her network broadcast debut as the guilt-stricken matriarch, Klytämnestra. They are joined by bass Mikhail Petrenko as Orest and tenor Jay Hunter Morris as Aegisth, in Patrice Chéreau’s celebrated staging.